Today I'm joining GUESS (again! So excited to work with brands I've loved since I was little) to show you their Spring collection and two of my favorite trends for Spring/Summer. I'm really loving high-slit long tops; you can wear them with either shorts or leggings underneath PLUS they have great movement! I paired this top with some palm-tree print shorts (which is a huge trend too when it comes to prints)…I love the pop of palm trees when you get to see the shorts. I wore this to have dinner with Gabe and his little sister in the Miami Design District. 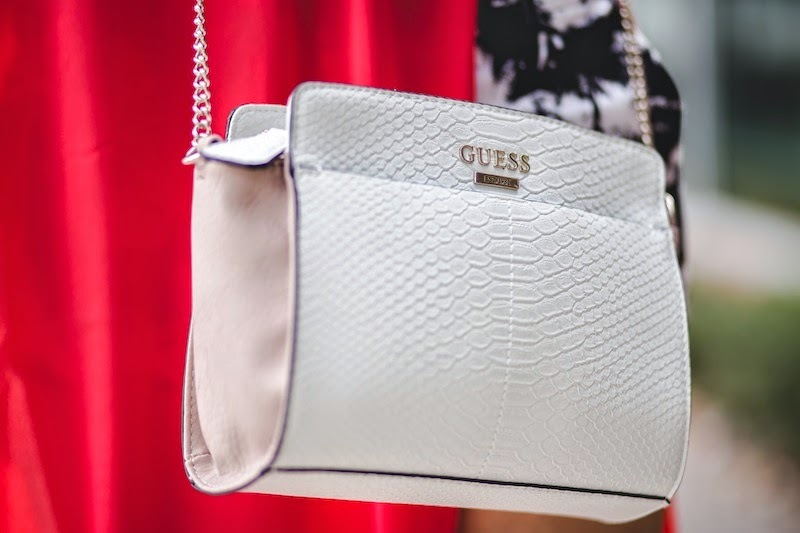 Check out the gorgeous GUESS Spring collection by clicking HERE! Hoy me uno a GUESS (¡otra vez! whoop whoop) para mostrarles dos de mis tendencias favoritas este verano y la nueva colección de primavera. Estos vestidos/camisas con aberturas dramáticas son perfectos para la primavera verano; los puedes usar tanto con shorts como con pantalones o leggings. Estas camisas tienen mucho moviendo y son muy frescas. Combiné esta camisa con unos shorts con estampado de palmeras (otra tendencia importante) para que cuando se viese el shorts, le diese un toque divertido. Esto lo utilicé para ir a comer con Gabo y su hermana por el Design District! Las invito a ver la colección completa de primavera de GUESS haciendo click por acá. Disclosure: I have partnered with GUESS for this post to showcase the latest collection. All opinions are my own and this post was not edited by third parties. Love this high-slit top so much and the bag is really pretty too! Your article very nice, I expect view it. Article very nice,, I like your think of you!! Well, I will think so, expect you can writing much article more. Thank you for you of article, I can think about it.